HTC is in dire straits. Profits and revenue are shrinking, executives are leaving, and its phones are just not selling well. In these troubled times, majority shareholder Cher Wang has taken over the CEO role in the company and it’s ready to unveil a new phone that it hopes will turn the tide: the HTC One A9. It’s not an expensive phone: quite the opposite. At $400, the new One A9 is nearly 50% cheaper than the iPhone 6s. This does not stop it from having huge aspirations to be one of the best-looking affordable phones that makes no compromise when it comes to features: first to ship with Android 6.0 Marshmallow and first with the new Snapdragon 617 chip. But with a design that looks like a derivative from the iPhone (at best and a clone at worst), does it really stand out? Take a look at HTC One A9's all its new features to find out. HTC is a design-centric company and that's no secret. The new HTC One A9, however, is not its most original design: even laymen will find it obvious that it copies the iPhone to a controversial extent. Some won't care and many will actually like this (we leave the legal aspect aside), and it's indeed a beautiful look. It's not just about the look, though: the One A9 is slim at just 7.3mm and is made of dual-brushed, bead-blasted aluminum with a polished sidewall. It comes in a choice of Opal Silver, Carbon Grey, Deep Garnet, and Topaz Gold colors. That's impressive: HTC is the first to ship a phone with Android 6.0 Marshmallow (not counting Nexus phones). Android 6.0 Marshmallow brings under-the-hood changes, as well as the new Now on Tap feature that acts as a smart, contextual Google search that works anywhere on your phone (just long hold the on-screen home button). It's a clever little touch. Then, you have the impressive new Doze feature that recognizes when you put your phone on the bedside table and kills background app checks to conserve battery life. It's an extremely promising battery life booster. 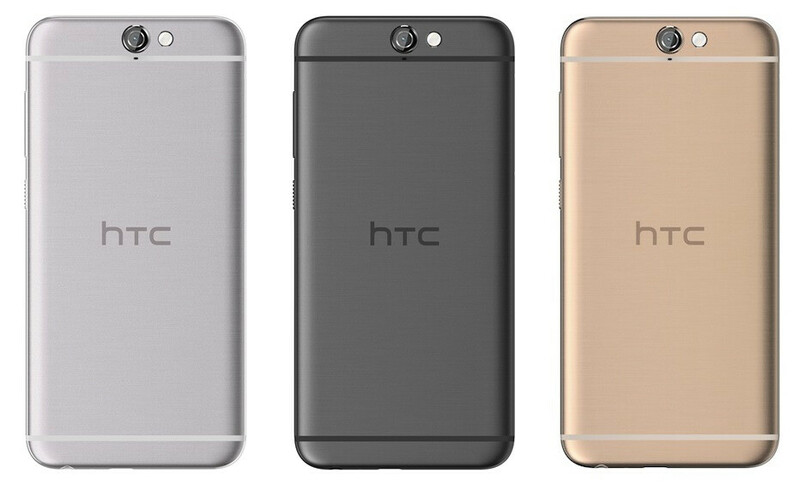 The HTC One A9 features a 5-inch display with a 1080 x 1920-pixel resolution, which results in a pixel density of 441ppi. It's important to note that HTC is using a 2.5D display here, meaning that the screen curves slightly towards the edges to flow in the metal frame seamlessly. It's also protected by Gorilla Glass 4, the latest edition of Corning's toughened glass. HTC's UltraPixel camera has disappeared from its flagships (at least, it is not the main camera any more), but the 20-megapixel replacement camera used in the One M9 was not a huge success either and captured rather mediocre pictures. This time, with the HTC One A9, HTC opts for a 13-megapixel BSI sensor with optical image stabilization and a sapphire lens cover (f/2.0 lens here) for a much improved experience. The HTC One A9 feature 24-bit, 192KHz high-resolution audio and a dedicated headphone amp that boosts volume 2x that of competing smartphones. Naturally, this will be best felt with a set of good headphones - the sound is said to have more depth and richness to it. Expandable storage becomes more and more a rarity these days: it's disappeared from top-level Samsung Galaxy phones, it's absent from the Nexus series, but with just 16GB of storage in the base model, it would be a critical mistake for the One A9 to miss a microSD card slot. Luckily, the good old microSD card slot is here and it allows you to expand built-in storage substantially. The new Snapdragon 617 system chip is not a high-end chip, but it's powerful nonetheless: it's an octa-core, 64-bit chip with four cores running at 1.5GHz and four more battery-savvy ones clocked at 1.2GHz. Altogether, this makes for a powerful and more battery efficient setup. While this makes for a terribly inefficient screen to body ratio, having a fingerprint scanner on such a fairly affordable phone is still considered a rarity and we're glad it's there. With native support for fingerprint readings in Android 6.0 Marshmallow, you can be assured that your fingerprints are securely stored and that it is all well integrated within the Android platform. RAW images preserve all the original data from the sensor and are essential if you want to do quality edits on a picture. A feature used by professional photographers mostly, RAW is a great tool in capable hands as it gives you a great freedom towards 'painting' a photograph to convey a certain look and meaning. Unfortunately, there is no support for 4K video recording on the HTC One A9 camera. Instead, you are limited to recording footage in 1080p. Hyperlapse is essentially a moving time-lapse. While such apps are already available on the Google Store, having a native app is a guarantee that the editing is done in a very efficient manner. The effect that you get with such video is great for travel logs as you can speed up the whole footage and have a video tour of a city in just a few seconds as a result. Hyperlapse reduces hand shake and camera movement appears cinematically smooth. The new HTC Camera app allows you to switch to the front camera and toggle HDR mode with one tap. Those are little conveniences that make a huge difference in real-life use and could be the factor that decides whether you've captured a good photo or a not so good-looking one. With its metal body, the One A9 battery cannot be easily replaced by the common user. In terms of battery capacity, HTC quotes official battery life of 12 hours when playing back video, up to 9 hours browsing on Wi-Fi, and up to 18 days of stand-by time, which sounds about on par (a bit below) most devices these days. The 15W travel charger that comes as an accessory powers up the HTC One A9 75% faster than standard 1A chargers by using Qualcomm Quick Charge 2.0 technology. With its stand-out design, the Dot View II case protects both the back and front of the device, while at the same time allowing you to see incoming notifications and you can even take calls through it. Price is set at the affordable $400 (full retail, off-contract price) with pre-orders open today at HTC.com. The One A9 will be available at US carriers as well, with more details coming soon. I don't wanna say it's beautiful but it's beautiful. It's really beautiful. This is the only HTC device that has my attention, but the price!!! noooooo, thanks. This is the first HTC to lose my attention. Why these companies want to be Apple is beyond me. If they stopped trying to look like iPhones, they'd stand out and be a more unique device. A9? Come on, HTC. Just call it "Apple 9" and get it out of your system and move on to a unique design. Also that tiny battery and those bezels and that 16 GB internal storage and that unnecessary thinness and that wasted above and below screen space..... All make up for a very fair big NO! The back of the device might look good, but the front is a different story. Huge top and bottom bezels and unnecessary/ugly HTC branding above the homebutton/fingerprint-reader. Very low screen-to-body-ration which makes this device fairly unattractive on the front. Looks a bit pretty but they could have easily put the Speakers up front on those HUGE useless bezel. And capacitive buttons beside the home/fingerprint sensor. It even has the exact same protruding camera side view as the iPhone! Yep, it's really just a straight off copy. I prefer the iPhone's placement of the camera and flash on the top left corner rather than the middle on this HTC One A9. I also prefer the circular home button over the Samsung-like rectangular one. It's a limited time offer because in due time, they'll be firesaling these for $200 a pop soon enough. Why buy this when you can get Nexus 5X & Moto X Pure/Style, which are way better and almost the same price?! What is HTC thinking about?! People will buy this because of its design. U can get iPhone like beauty and functionality of android. I didn't know Apple was going to release another iPho- wait, that's not an iPhone?! Costs more than Xperia Z3 for example. How it's quite opposite of the expensive? "be together, not the same" I suppose for some people it fills a niche, if they want to look like they have an iphone but have android on it. Personally I would never want someone to confuse my device with an Apple. I would take this over iturd any day. Way cheaper and runs marshmellow? Hell yeah! And soon it will take in value and price. So you get windows type firesale pricing! !